Straight Dope Message Board > Main > General Questions > What does this Dutch road sign mean? What does this Dutch road sign mean? It's a red warning triangle with a black vertical line inside, seen on Street View here. It's also on this stock photo (bottom centre). Wikipedia shows it as the retired version of the general warning sign (danger sign). How about this one? Is it a warning? A suggestion? A neutral observation? A comment? No one really knows. Not terribly retired in Spain or France either. More likely to be found on secondary roads, but that's simply because those are lower-priority for updates in general. Last edited by Nava; 04-16-2019 at 01:52 PM. If you click on the sign, a box pops up for you to email the mods about that stretch of road. Masochist to Sadist: "Hurt me." The closest one is the general warning sign, which has an exclamation mark. Here is an unusual (and rare) English one. 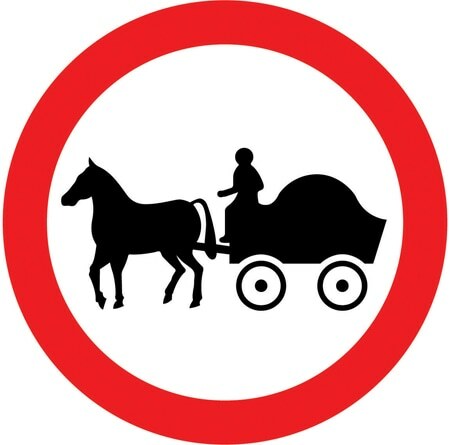 It actually means NO HORSE DRAWN VEHICLES. That it is a prohibition is conveyed by the red circle, and the picture tells you what it is that's prohibited. The clue is in the hanging sign behind it: that particular stretch of one-way road is going to change direction soon. 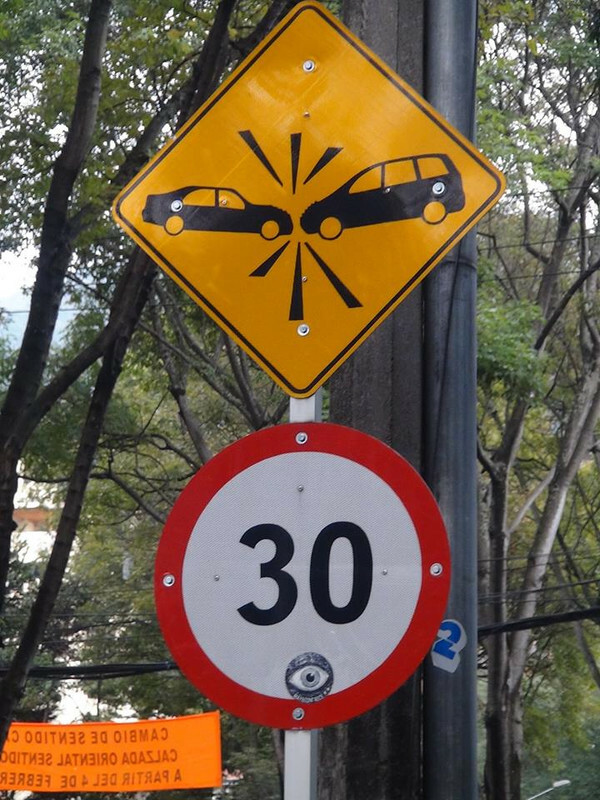 The unusual yellow sign is about "high probability of frontal collision if you don't pay attention to the changed one-way signs". I'm personally fond of this sign from Quebec. 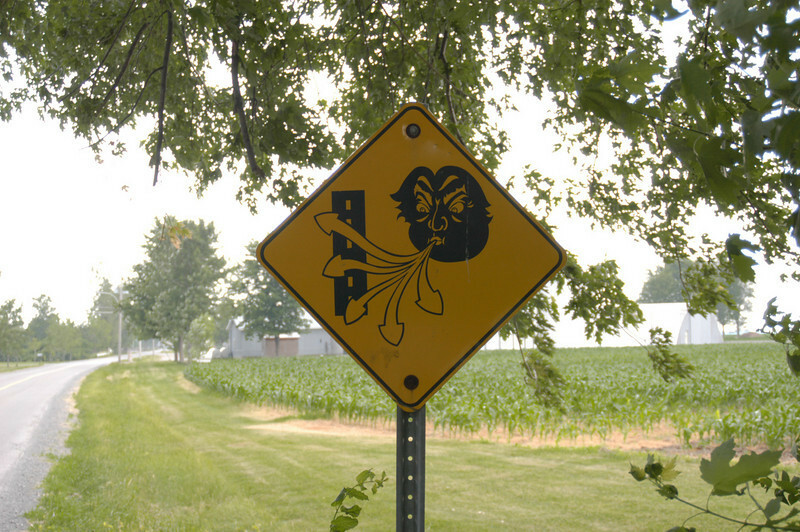 It clearly means you are approaching the border and should be wary of the Donald.